When golfers want to improve their game using a proven system of instruction, they turn to Stack & Tilt Golf, whose methodology is simple to understand and adaptable for any level player. When Stack & Tilt Golf wanted a new, rebranded website to tell their story and help golfers connect with instructors, they turned to Kiosk. 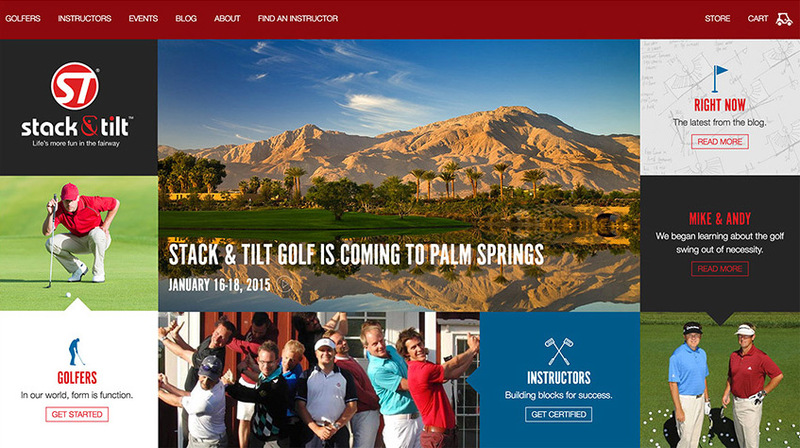 The result is the new, just-launched Stack & Tilt Golf site, which gives both prospective students and golf instructors new ways to interact with the Stack & Tilt Golf system.